This week was one of those weeks where I had the opportunity to witness one of the most personally rewarding things in my job and the greatest reason that I do what I do - I saw that spark that lit up my customer's world. We were sharing a narrative of how we could go about providing mobile analytics and business intelligence for our customer. The directors that we were presenting to immediately got what could be accomplished and we were off to the races discussing possible scenarios, story arcs, etc. 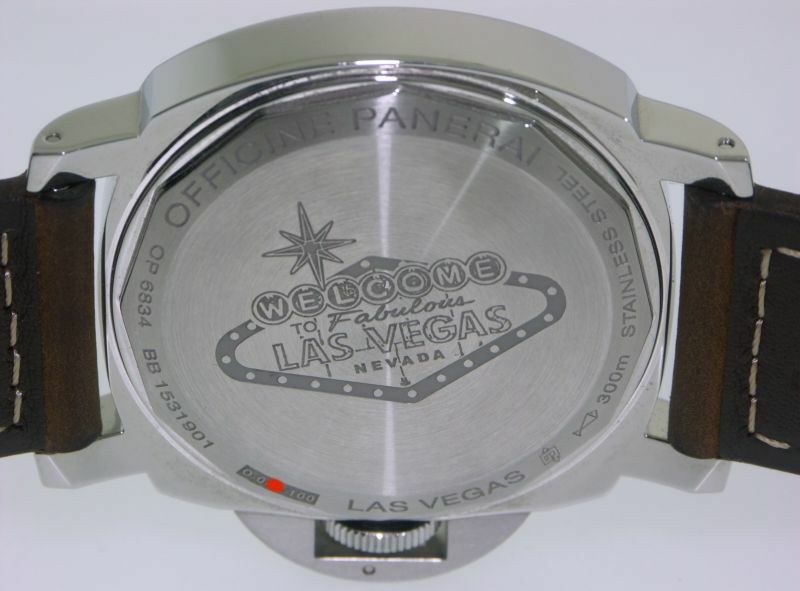 We were shortly joined by a VP of Operations and the company's Owner who had been asked to join us by their colleagues. Our collective team spent the better part of the next hour and a half hashing out the details of what would make this a successful endeavor. Everyone left the meeting on a natural high sparked by the excitement of innovation and the opportunity to disrupt competition in a major way. 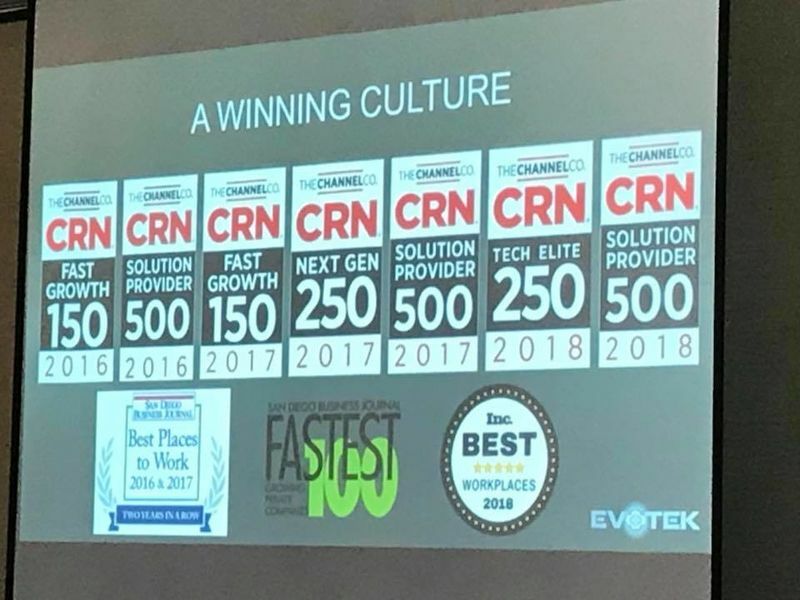 That spark and these moments embody EVOTEK and why I believe so strongly that we are truly bringing something new to our customers. Thank you for everyone in that meeting for creating something truly memorable. One of the most promising announcements at Mobility Field Day Live with Aruba, a Hewlett Packard Enterprise company for me had to be the introduction of ClearPass Extensions. The concept behind this feature is to leverage a repository within ClearPass, such that new features may be created and ran without compromising the integrity of the system and the underlying code with some sort of “engineering special". This functionality adds substantial value to an already feature rich ClearPass product. ClearPass Extensions enabled Aruba partners such as Microsoft, Intel Security, Kasada, and Envoy to develop innovative features that may be released ahead of a major release of code which improves feature velocity and more importantly client satisfaction. Currently this is a relatively closed system with Aruba handling the development as a professional services engagement, but as a service oriented partner we see the light at the end of the tunnel and are looking to truly create some differentiating features for our customers that provide tight integration of ClearPass with the business. Aruba’s vision for where ClearPass Extensions will go includes a developer community and an “app store" enabling customers to download or purchase apps that have been developed specifically for ClearPass. Customers can also develop their own features, or engage any third party to do the integration for them in the future. Creating an opportunity for partners to differentiate themselves from each other and rewarding those that truly understand their customer’s business is an appealing idea. Waiting on features that may take six months to be released during a standard release punishes those companies who are creative and forward looking. This model rewards these organizations instead by giving them a competitive advantage and an option to potentially generate additional revenues depending on how the app stores comes to light. The potential opportunities of these extensions are seemingly infinite and the upside for organizations investing in this are tremendous. Aruba, a Hewlett-Packard Enterprise company, unveiled their new Mobile First Platform last week and I had a front row seat as one of the Mobility Field Day Live delegates. Aruba’s announcement was made a day prior to our session, so it was pretty exciting to discuss such a fresh topic. The foundation that Aruba is creating here is impressive and the implications are tremendous, especially if we look at extrapolating this in the near future. Aruba announced the release of AOS version 8.0, which marks the first major overhaul of the code in quite some time. This release is at the center of Aruba’s Mobile First Platform and is designed to handle the next ten years of wireless, which is quite an ambitious goal as the near future has 802.11ax (aka Ten Gigabit Wi-Fi). Aruba highlighted that the intelligent layer of services required to run networks today is reaching its limits on controllers, so they have created a new alternative in the form of a Mobility Master that can run these intelligent services on behalf of the controller hardware. The Aruba Mobility Master has been virtualized so that it can run on an x86 virtual machine in VMWare (KVM coming soon with version 8.0.1). This new role replaces the now legacy Master Controller so most environments will benefit from a reduced amount of hardware on-site and can leverage investments already made for the new architecture where desired. Also of interest for most is that there is zero cost for these virtual machines, the only thing that matters is the number of access points are being managed. The primary tradeoff between a controller-based and virtualized infrastructure today is throughput as the VM-based controllers do not have hardware encryption modules and as a result they cap out around 4-5 Gbps. Aruba has also introduced a new UI with AOS 8.0, which is a welcome feature as it had been fairly complicated for a new user. The new UI brings some much needed features such as simplified profiles, tab completion for profile names in the CLI, multithreading in the CLI, etc. In-Service Upgrades are also new with the advent of AOS 8.0 and the Mobility Master. 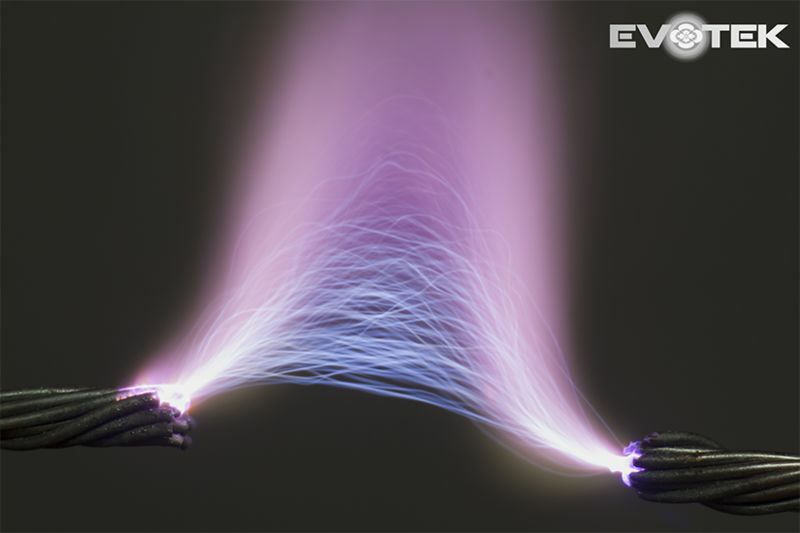 The increased compute and storage allow for services that now reside on the Mobility Master to be upgraded and impact the environment immediately without requiring an upgrade to access points or controller infrastructure. Watch more on AOS8 via the Tech Field Day YouTube Channel. 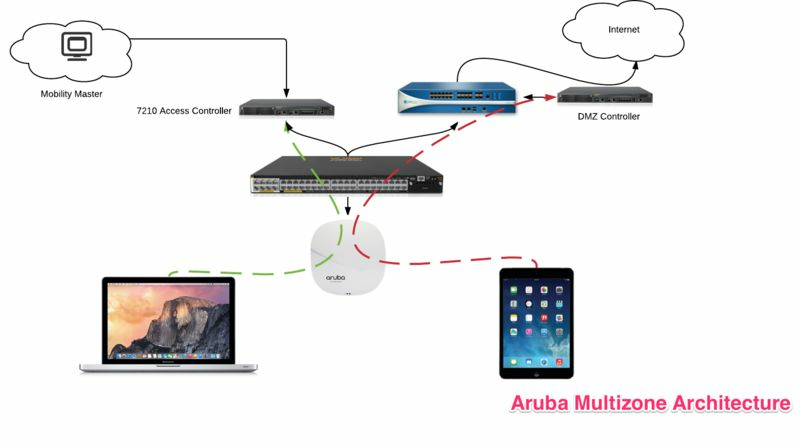 Included in the move to a Mobility Master, is Aruba Zero Touch Provisioning which allows the Mobility Master to handle all configuration for controllers throughout the environment. Additionally, the previous requirement for the Mobility Controller and Access Controllers to be running the same version of code has been removed. The Mobility Master must run the latest code supported in the environment, but will be backwards compatible with older versions of code running on the controllers. This feature will greatly benefit risk adverse customers to quickly take advantage of the new features in administrative buildings, but maybe roll out slowly to a hospital or manufacturing site. The Multizone architecture allows for SSIDs to terminate to multiple controllers, creating an end-to-end encrypted session from client to controller when in tunneled mode. Terminating SSIDs on different controllers extends beyond the data flow and into how the AP is managed. Controller 1, as the primary, gets to set all of the AP settings (IP address, dhcp, etc..). Controller 2 gets to set only the settings for SSID 2. An admin of controller 2 cannot see any of the info for controller 1 including SSIDs, security types, auth servers, users, etc. Aruba AOS8 brings controller clustering to the table. All elements in the cluster must be running the same code and be part of the same family (e.g. All 72XXs running 8.0 code). State information is maintained for clients and access points with a designated backup controller within the cluster. The clusters also participate in user load balancing. Primary and Backup controller per user is maintained in the cluster and will be shared with AirWave later in the year. This is useful across all customer types, but especially those with very large campuses (e.g. higher education or Fortune 500 headquarters, etc.). Clusters scale to 12 controllers with 72XX series and 4 with 70XX controllers. 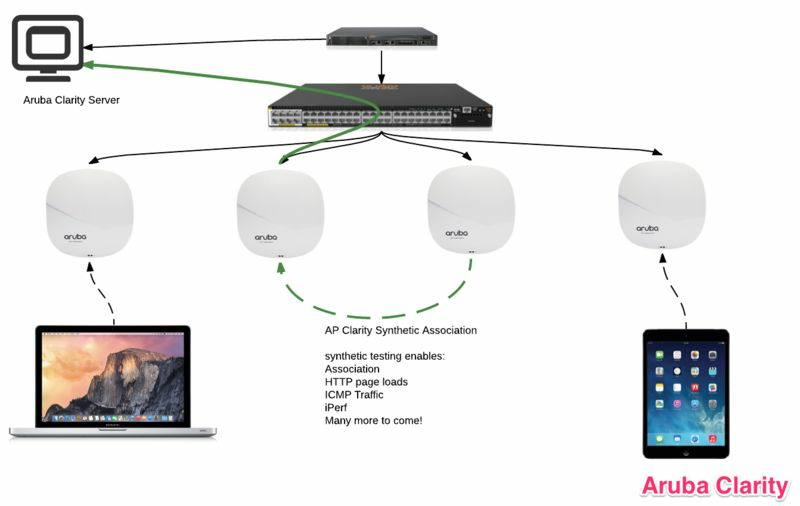 Aruba Clarity allows the access points to associate to another access point and run synthetic tests from the “client AP" to the Clarity server, effectively building a baseline and providing tremendous visibility especially for remote sites. Clarity Live tracks DHCP and DNS requests and responses in real-time to profile the typical health of the network. Clarity Synthetic allows for RF performance testing, iPerf, web page loads to a URL (Salesforce, etc.) Upcoming features that were hinted at but not confirmed include scheduling and wired line monitoring and testing. Another feature of AOS8 is Aruba’s new AirMatch feature that enables better channel reuse. This feature is important as legacy radio management was designed for a previous era of wireless networks. In today’s high capacity world that needs to support users and things the old way of doing things is not good enough. AirMatch looks at the system as a whole to maximize channel reuse and capacity on a daily basis and determines based on a day of usage what the best wireless combination of radios include. Advanced users will be able to tune AirMatch functionality to meet their needs from the command line, but this will be obscured from the GUI to protect users from causing harm. The Mobility Master will have the context aware APIs that exist with Aruba’s Location Engine (ALE) to enable integrations with other systems via REST or published to other resources using a ZeroMQ to move that data to a database. Configuration APIs have also been enabled to allow APIs configure the network, SSIDs, etc. Enhancements have been added that enable categorization of applications and grouping of applications. For instance, a group called “Students" or “Nurses" could be created simplifying management. Custom applications are now supported and AppRF definitions are now treated like antivirus updates and can be updated without impact to the network. In all I was impressed with what was announced for this release. Our delegate panel kept asking for more, but when you look at what has been accomplished, our requests were in line with what you’d expect this roadmap to look like as it unfolds. The shift to an API driven infrastructure is exactly where the world needs to be heading and abstracting software from hardware is inline with every other major shift in the industry. I am looking forward to the APs themselves running microservices in the future that can be upgraded, restarted, etc. with no impact to end users—it seems to be an inevitability at this point. This Mobile First Platform is well thought out and perfectly aligned with the automated and intelligent future that we are all looking for as it allows us to focus on the core business and offers much needed agility.